In 1963 Eduard Imhof and Heinz Leuzinger published school maps of the Canton of Grisons. 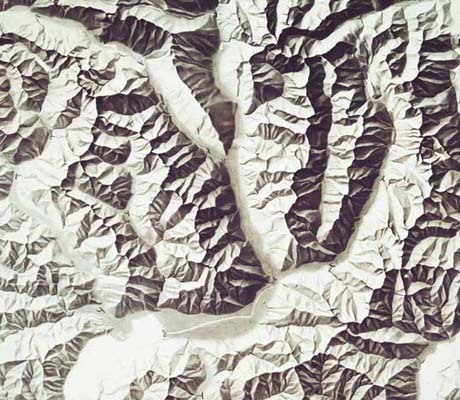 Compared to other Swiss school maps, their work stands out for its excellent shaded relief. School wall map 1:100,000 and school map 1:250,000 “Graubünden” (Canton of Grisons) (Ticino section) by Eduard Imhof and Heinz Leuzinger 1963.